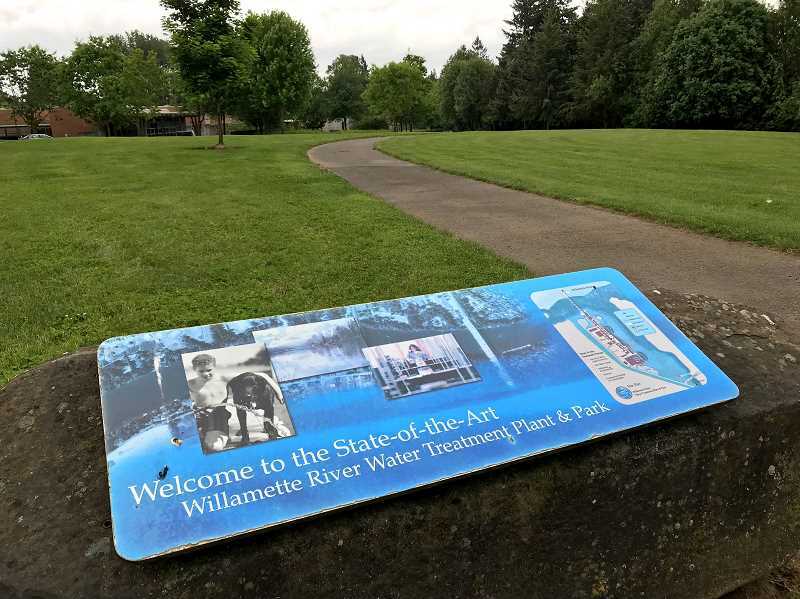 The City of Wilsonville deemed the Oregon Department of Environmental Quality's limits for discharging mercury into the Willamette River impossible to meet. So, in the process of renewing a wastewater discharge permit for the Wilsonville Wastewater Treatment Plant — which treats wastewater that comes from businesses, residences and other areas throughout the city and then discharges it into the Willamette River — the City is lobbying DEQ to make the requirements more lenient. In turn, DEQ has agreed to work with Wilsonville staff, including Public Works Director Delora Kerber, to create a revised permit. Negotiations are ongoing. "I think the most important thing is DEQ is trying to work with us to go over the language of the permit. They're meeting with Delora and are going through issues that need to be updated. They're making progress on that," Wilsonville City Attorney Barbara Jacobson said. DEQ created the current parameters for water quality in 2017 and Jacobson said other jurisdictions will face this issue as well when their permits are renewed. Kerber said the WWTP currently removes 96 percent of of the mercury in the water it treats before expelling the water into the Willamette River. The new permit would increase the amount of mercury it must remove over 99 percent by 2028, according to Jacobson and Kerber. "The limits are so low that there is no technology that exists in the world to get us to that low of a limit," Kerber said. "We don't produce mercury in any way. Our process is to remove as much pollutants as possible." The Oregon Association of Clean Water agencies agrees with Wilsonville's assessment. In a report to DEQ, Executive Director Susan Smith wrote that DEQ's requirements aren't possible to meet by 2028. Wilsonville's old permit expired in 2014 and the City submitted an application to renew the permit that year but DEQ took this long to respond to the permit due to a backlog, according to Jacobson. Jacobson also said the old permit did not have mercury requirements. Ninety percent of the mercury in the Willamette Basin comes from the deposition of mercury in the air from global sources of pollution and erosion of volcanic soil, while four percent comes from discharges into the Willamette River, according to the DEQ website. "I think it's unreasonable to expect us to take care of that problem if mercury is in the watershed due to a volcano," Kerber stated as a hypothetical example. Mercury, though, is apparently a mounting issue in the state. According to DEQ's Water Quality Standards Review and 2018-2020 Program Priorities, the mercury found in fish tissue in waters throughout most of the state exceeds the state's health standards. Wilsonville City Council also recently recommended that the League of Oregon Cities push for state legislation to ease mercury requirements. "It's a bigger issue," she said. "It's not just us." plans to bring the proposal to add the temporary easement in 2019. The DEQ's Water Quality Standards Review and 2018-2020 Program Priorities stated that the temporary easement would enforce mercury reduction but also make the reduction more achievable. Kerber said, rather than harshening jurisdictional standards, cities and regulatory agencies should focus on preventing mercury emission at its source. "The best way to do it is to remove (the mercury) before it gets to us. For our treatment plant, there needs to be a focus on nonpoint sources: agricultural and industry," Kerber said.